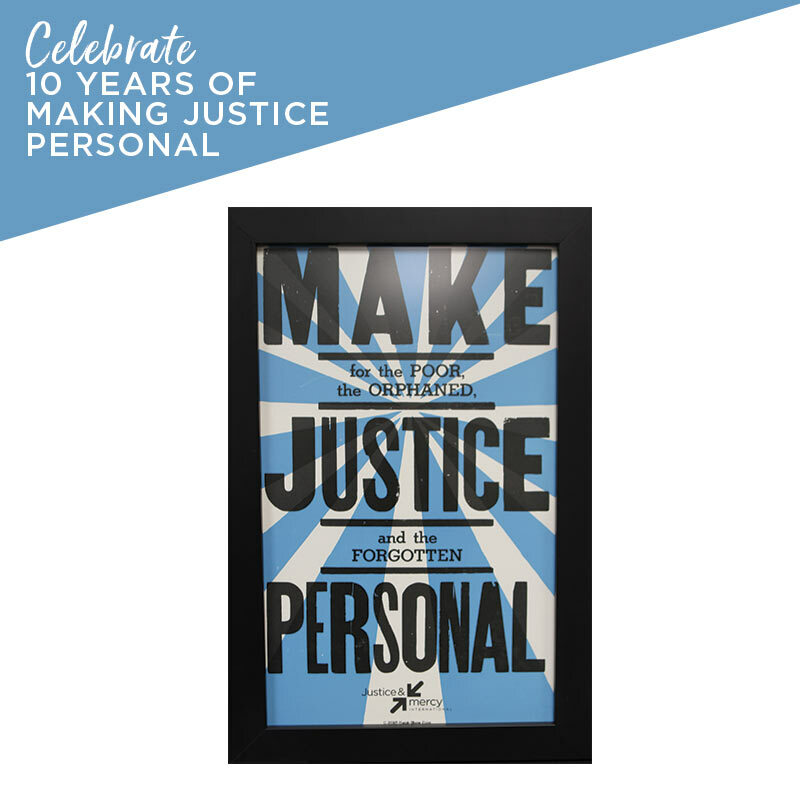 2018 marks 10 years of Making Justice Personal with Justice and Mercy International! We’re celebrating with this limited edition custom JMI Hatch Show Print. This authentic print was made especially for our 10 year anniversary in the famous Hatch Show Shop in downtown Nashville, Tennessee. Using antique wood, metal typefaces and imagery from the Hatch archive, the designers made sure that JMI’s Make Justice Personal brand shines through while maintaining the widely-loved classic Americana look of a Hatch Show Print. These custom JMI prints are available NOW in limited quantities! Snag your print now while supplies last, and celebrate all that God has done over the past 10 years through JMI. All profits benefit the work of JMI around the world.